Rock-it Promotions stocks both Kustom Kit & Uneek security uniforms. 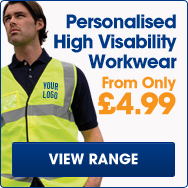 Our selection of security uniforms is visible across Northampton & Northamptonshire. Branded pilot shirts are a simple way to help distinguish your businesses security staff from the rest. We make ordering yours simple: Pick your security uniform, select a colour & size, add your branding then checkout! Then our team will be in touch with a proof and once you are happy we will get cracking producing you the highest quality security uniforms in Northampton. It's not just security uniforms we supply, we provide custom staff uniforms to a number of clients across Northamptonshire. Our large B2B team provide business customers a comprehensive dedicated service which is second to none in Northampton, we understand the importance of high quality customer care - we set your business up with a dedicated account manager who will work with you to deliver you high quality custom staff uniforms at the best prices. We work closely with businesses to ensure that they receive clothing that is high quality, affordable, practical & durable. 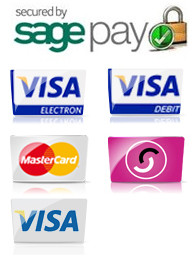 We also offer an exclusive online service for businesses across Northamptonshire. We can create a public/private shop for your custom staff uniforms making your repeat ordering hassle free and as simple as possible. So contact our team today to see how we can help your business with its custom staff uniforms. Contact the Rock-it sales team today via email on info@rock-itpromotions.co.uk or call 0800 980 4660 for a quote today!